We assessed the seasonal abundance and distribution of Vibrio species as well as some selected environmental parameters in the treated effluents of two wastewater treatment plants (WWTP), one each located in a suburban and urban community of Eastern Cape Province, South Africa. Vibrio population density ranged from 2.1×105 to 4.36×104 CFU/ml in the suburban community and from 2.80×105 to 1.80×105 CFU/ml in the urban community. 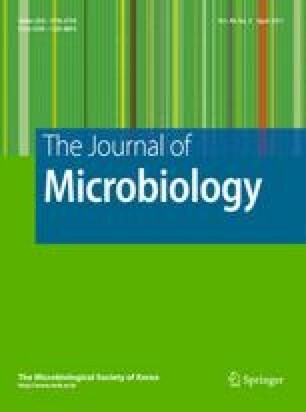 Vibrio species associated with 180 μ, 60 μ, and 20 μ plankton sizes were observed at densities of 0–136×103 CFU/ml, 0–8.40×102 CFU/ml, and 0–6.80×102 CFU/ml, respectively at the suburban community’s WWTP. In the urban community, observed densities of culturable Vibrio were 0–2.80×102 CFU/ml (180 μ), 0–6.60×102 CFU/ml (60 μm), and 0–1.80× 103 CFU/ml (20 μm). The abundance of free-living Vibrio species ranged from 0 to 1.0×102 and 1.0×103 CFU/ml in the suburban and urban communities’ WWTPs, respectively. Molecular confirmation of the presumptive Vibrio isolates revealed the presence of V. fluvialis (41.38%), V. vulnificus (34.48%), and V. parahaemolyticus (24.14%) in the suburban community effluents. In the urban community molecular confirmation revealed that the same species were present at slightly different percentages, V. fluvialis (40%), V. vulnificus (36%), and V. parahaemolyticus (24%). There was no significant correlation between Vibrio abundance and season, either as free-living or plankton-associated entities, but Vibrio species abundance was positively correlated with temperature (r=0.565; p<0.01), salinity, and dissolved oxygen (p<0.05). Turbidity and pH showed significant seasonal variation (p<0.05) across the seasons in both locations. This study underscores the potential of WWTPs to be sources of Vibrio pathogens in the watershed of suburban and urban communities in South Africa.